CarGurus has 2,730 nationwide Verano listings starting at $3,999. A posh ride, a luxurious cabin atmosphere, some downright decadent trunk space and incomparable value all would indicate Buick's 2012 Verano 4-door is a hit. A lack of V6 power, cramped rear seat room, ponderous moves and a somewhat confusing array of buttons and controls mean some changes might be in order for the Verano down the road. Buick, touting a more up-to-date sensibility, appears to have a winner in its debuting 2012 Verano lineup. Enough luxury touches to satisfy the average family, as well as a price that won’t strain the bank account, combine with a plush ride and decent if not jaw-dropping power and performance, and ought to be more than enough to draw the seriously value-minded. Those mulling a well-wrought entry-level-luxury compact sedan may want to kick some tires on this pint-size people hauler. Despite some skeptical looks when it first hit showrooms, Buick’s debuting 2012 Verano entry-level luxury sedan has all the earmarks of a hit. Priced right and looking good, this 5-seat compact 4-door is tuned for comfortable touring, piles on the standard features and offers some nifty mileage numbers to boot. Based on Chevy’s fuel-frugal Cruze sedan, the brand-new Verano lineup comes in three trims, the Base, the midlevel Convenience, and the flagship Leather. All are offered only with front-wheel drive (FWD), and all carry a 2.4-liter 4-cylinder powerplant that’s a bit larger than its Cruze contemporaries. The standard automatic transmission, meanwhile, is touted by reviewers to be several cuts above the automatic found in Chevy’s progenitor. Outside, this latest compact Buick shows off the automaker’s refreshing new design thinking, while the cabin boasts an ambiance and build quality that reflect its upscale intentions. The plethora of standard creature comforts, a wealth of classy accents and some added sound insulation all add up to a compact 4-door fit for a king, or at least his closest henchmen. Yet this quasi-luxury sedan is eminently affordable for the average family. Perhaps the Verano’s closest rival is Acura’s TSX sedan. Sure, it out-performs Buick’s nifty compact 4-door and offers a tad more refinement, but it also costs one heck of a lot more money. Same with other rivals like Audi’s A3, Infiniti’s G Sedan and the Lexus IS 250. If, however, a hint of class, an admirably sprung ride, a modicum of agility, decent mileage and some hefty value are high on the list of priorities, then the brand-new Verano is worth a test drive. 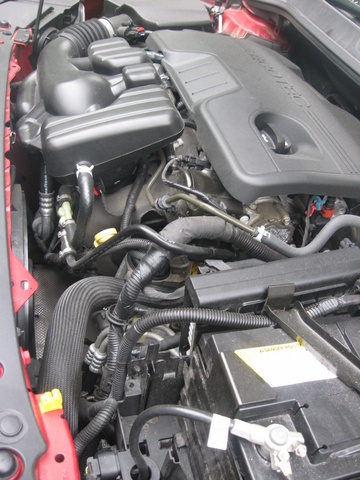 Standard power aboard the 2012 Verano lineup is an E85-capable (FFV), variable-valve-timed (VVT) 2.4-liter inline 4-cylinder (I4) engine that’ll crank out 180 hp at 6,700 rpm. A 6-speed shiftable automatic transmission is also standard and manages some 171 lb-ft of torque at 4,900 rpm. Estimated mileage numbers stand at a decently thrifty 21 mpg city/32 highway, and a 1,000-pound towing capacity (with the proper equipment) might allow this quasi-luxury sedan to look like it’s pulling its weight among the neighbor’s pickup trucks and sport utes. Tests of the Verano had it getting from 0-60 in a rather tortoise-like 9.0 seconds, thus placing it well below class leaders in that regard and leading some reviewers to question the lack of a V6 alternative. Its silky smooth automatic transmission, however, makes this lack of alacrity a bit easier to take and allows seamless performance about town. Reviewers do caution, however, that a little planning will be required for merging and passing on the highway. Engine noise, meanwhile, is noted in many reviews as subtle to nonexistent. A front independent suspension is bolstered by MacPherson front struts in Buick’s latest entry-level luxury sedan, while the torsion bar rear end is complemented by stabilizer bars fore and aft. Where the rubber meets the road, look for all trims to sport 18-inch alloy wheels mounting all-season tires. 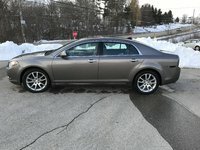 Although there are bumps and potholes out there that will challenge the 2012 Verano’s touring-oriented suspension, most reviewers are quick to note that seldom will this classy 4-door demonstrate the shock and awe of its Cruze contemporaries over the course and coarseness of the ordinary journey. Alas, sporty this luxury-toting 4-door isn’t. However, there is some difference in reviewer opinion regarding its perceived agility. A number of reviews claim a dull steering feel that doesn’t exactly help the moderate body lean in quick corners. Others maintain that for a touring-oriented quasi-luxury sedan, steering is fairly precise with a decent amount of feedback, and that this compact sedan performs admirably in long-distance cruising. Brakes, finally, are noted by the vast majority of reviewers to be strong and with good pedal feel. Tests of the Verano saw it coming to a stop from 60 mph in a class-average 122 feet. In its entry-level-luxury garb, Buick’s 2013 Verano lineup sports a better-than-usual array of appearance, comfort and convenience features. The Verano Base, for instance, is delivered with leatherette/cloth upholstery, height-adjustable front seats, split-folding rear seats and a folding rear center armrest. Remote power door locks, power windows and power-adjustable outside mirrors, of course, come standard, as do simulated wood and simulated alloy cabin accents, and the tilt/telescoping leather-wrapped steering wheel mounts audio and cruise controls. Standard dual-zone climate control and cabin illumination, meantime, is monitored by Sun Sensor technology, and this starter Verano boasts OnStar Directions and Connections subscription service. Entertainment is offered via an MP3-capable single-CD player, 6 speakers, satellite radio, Bluetooth communications and audio streaming, and a USB port. All audio functions are bolstered by a 7-inch color touchscreen display, while additionally boasting GM’s IntelliLink access to Pandora and Stitcher radio via smartphone-interfaced apps. Stepping up a notch to the Verano Convenience adds a 6-way power-adjustable driver’s seat, heated power-adjustable mirrors, rear parking sensors and an auto-dimming rear-view mirror. Further standard amenities gracing the flagship Leather trim, finally, include heated front seats, premium leather upholstery, upgraded leather, simulated wood and simulated alloy cabin trim, a heated steering wheel and 9 Bose premium speakers, including a pair of subwoofers. Options for this debuting sedan include a power sunroof available to the Convenience and the Leather, with the midlevel Convenience additionally eligible for Bose premium speakers. Both higher trims can be delivered with an available hard-drive-based navigation suite, as well as an Appearance Package boasting a chrome grille and rear spoiler. The Leather, furthermore, can be outfitted with available upgraded 18-inch wheels. Reviewers find the 2012 Verano to be admirably fitted out for its price. Seats are fairly comfortable and supportive, at least in front, while the rear seat will accommodate 2 adults seemi-comfortably in short-haul situations only. The sedate cabin is praised by reviewers for its ample sound insulation, allowing virtually no extraneous racket to disturb the drive, and cabin trim materials are, for the most part, well-wrought and suitably tasteful. The center dashboard area does, however, draw some reviewer ire for its cluttered appearance, as well as the fact that many buttons are not clearly marked. Finally, reviewers note visibility to be admirably clear all around, though a few do mention that the outside mirrors could be a bit larger. Needless to say, the new-for-2012 Verano lineup boasts an admirable array of state-of-the-art safety features. Four-wheel antilock brakes (ABS), sporting electronic brakeforce distribution and emergency braking assist, come standard, as do traction and stability control. Front and rear head airbags, meantime, are complemented by dual front side-mounted airbags, with OnStar emergency communications services and stolen-vehicle recovery assistance also standard throughout the lineup. Finally, daytime running lights, front fog/driving lights and dusk-sensing headlights grace each of the three trims, with a standard remote antitheft alarm adding a measure of security. The Insurance Institute for Highway Safety (IIHS) gives this snazzy sedan its Top Safety Pick award for 2012, with its highest score of Good handed out in all testing criteria. Overwhelmingly, owners are favorably impressed with Buick’s latest compact sedan. There are, however, a number of glitches that have given more than a few owners cause for some concern. Many feel, for instance, that the automatic transmission is somewhat delicate, with at least two owners reporting major breakdowns. Others have complained of occasional emissions of black smoke, causing a sooty build-up around the tailpipe area. A few owners feel the cramped rear seat is all but useless for even average-size adults on trips of any length, while several others find this compact 4-door a bit too touring friendly for even a hint of driving enjoyment. 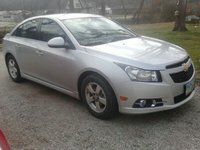 On the other hand, virtually all owners mention this quasi-luxury sedan’s outstanding value, with the plethora of standard features, the attractive cabin and the nifty profile all drawing their share of owner praise. The Verano’s gas mileage numbers are good enough to draw a share of owner kudos, while overall build quality, cabin sound insulation and that plush Buick ride also attract a lot of positive owner response. What's your take on the 2012 Buick Verano? 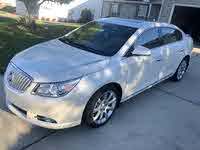 Have you driven a 2012 Buick Verano?